It was the year of the US-led invasion of Iraq and the deaths of Johnny Cash, Katherine Hepburn and Bob Hope. 'Chicago' scooped the Oscar for best movie while an unknown teenage footballer by the name of Cristiano Ronaldo made his Manchester United debut. It was 2003 and it was also the last time an American man won the US Open singles title. That honour belonged to the now-retired Andy Roddick but, from Monday, the likes of John Isner, Jack Sock, Sam Querrey and Frances Tiafoe will try to end the longest drought for American men at their home Grand Slam. Such an absence of New York success was once unthinkable. Arthur Ashe won the title in 1968, the first of the Open era in the city and that sparked a regular stream of homegrown champions. 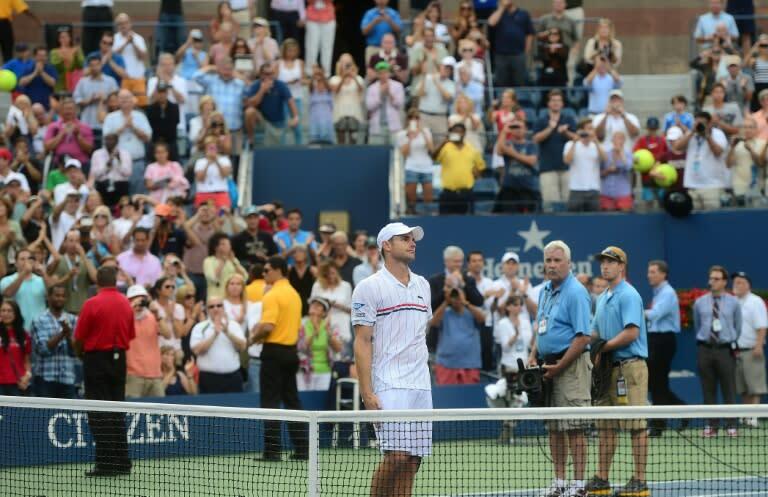 From Ashe and Stan Smith in 1971 to Roddick in 2003, the US Open trophy was lifted by a home player on 19 occasions. Jimmy Connors and Pete Sampras were five-time champions while John McEnroe, playing in his home city, claimed four titles. Andre Agassi was victorious twice. Agassi was to be runner-up in 2005 and Roddick too in the following year -- both men losing to Roger Federer. Federer, who won the last of his US Opens in 2008, will still be amongst the favourites this year at the grand old age of 37. Despite being responsible for so much home heartbreak, the Swiss veteran now serves as a blueprint for American hopes, led this year by world number 11 John Isner. "Roger Federer, he's alien, different than anyone else," said 33-year-old Isner. "But seeing him have some success at 34, 35, 36 years old, that's a very encouraging sign." Isner's best run at the US Open was a quarter-final spot in 2011 but he enjoyed his most successful Slam of his career just last month, making the semi-finals of Wimbledon. His five-set loss -- with a 26-24 decider -- against Kevin Anderson was the second longest Slam singles match ever played, a gruelling six hours and 36 minutes. "There will come a time where Father Time is probably going to get the best of me. As of right now, I don't think it's there yet," added Isner, whose summer form since Wimbledon has been mixed. A hard-court title in Atlanta was followed by opening losses at Washington and Toronto. "I haven't done really that well at the US Open," admitted Isner, who will become a father for the first time in September. "I've always been solid. It's a tournament that I think is tailor-made for me." Isner, like his compatriots, has had the misfortune of trying to win a Slam in the era of the 'Big Four' of Federer, Rafael Nadal, Novak Djokovic and Andy Murray. Since Roddick's title in 2003, every final in New York with the exception of 2014, has featured at least one of the four modern heavyweights. With 18th-ranked Sock without a win to his name since Rome in May, home hopes will be further pinned on world number 35 Sam Querrey and Frances Tiafoe, ranked at 42. Querrey was a quarter-finalist last year just after making the semi-finals at Wimbledon. But the 30-year-old has just three wins on hard courts all summer. Tiafoe, only 20, has endured three first-round losses at the US Open but pushed Federer to five sets in 2017. His disappointment was alleviated by seeing the 20-time major winner up close. "Go down the list. I mean, can't read his serve. Jumps on the return ball better than anyone. Doesn't give the baseline up," said Tiafoe. "He takes time away. Best mover, by far. Yeah, just sees the game completely different than everybody else. He's unbelievable."